Hi, sorry if this topic don't belong here. 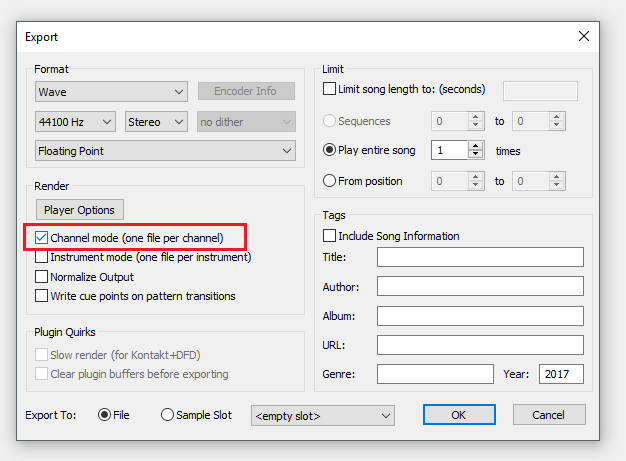 I'd like to know if there is any software that allow me to convert a channel from a mod/xm file to wav automatically. Example: if you have a mod file with 6 channels, the software will convert the mod in 6 different wavs, one for each channel. OpenMPT can do that. If you go into the export menu you can turn on Channel Mode which does exactly what you described. That is exactly what I need. Thank you very much!!! !